The Internet has made it possible to have access to an almost unlimited supply of information, but not all the information should be taken at face value. 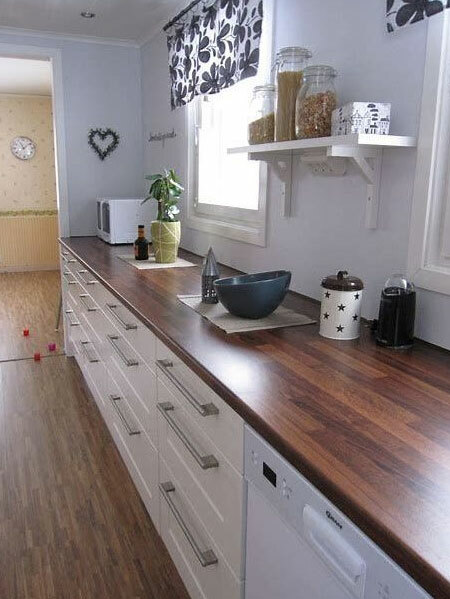 If you are wanting to making your own wood kitchen countertops, it is important to look at what materials and supplies are available locally, particularly the types of wood used to manufacture the wood kitchen countertops. 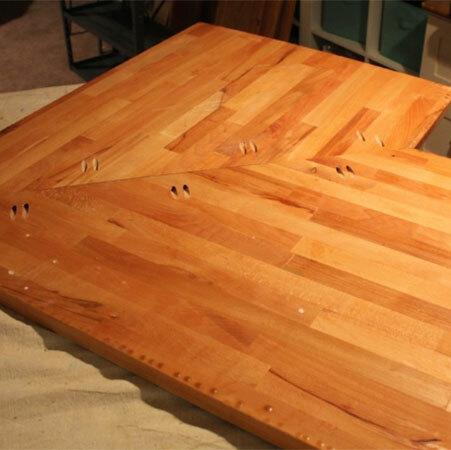 Having seen so many videos where DIY enthusiast homeowners make and install their own wood countertops, I have discovered that more than a few are using incorrect methods and too basic techniques to do this project. This will only result in a fail sooner or later with the result that you have wasted a lot of money on installing your own wooden countertops. I have included a video below where the installation of wood countertops was undertaken, and this video contains factual information that pertains to our local conditions and the best method of assembly for the wood countertops. You can also view this video for the pros and cons of wooden countertops. 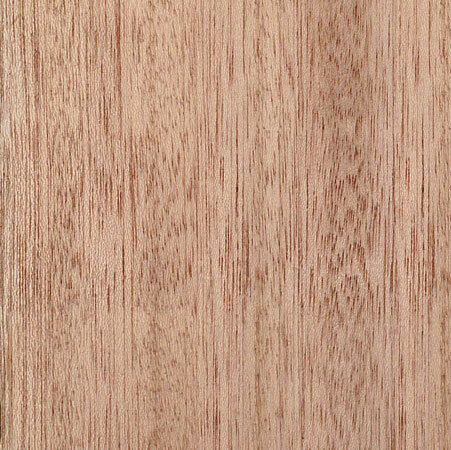 You have the option to choose from a wide selection of locally available and exotic hardwoods for making your own wooden countertops for a kitchen. 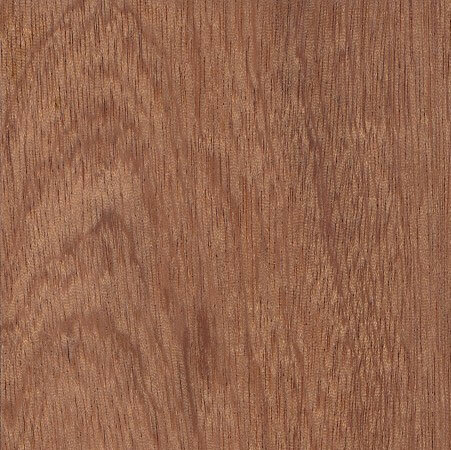 Popular hardwoods can be maple, teak, mahogany, sapele or walnut and these woods are cut into strips that are then laminated together to form a solid block - or countertop. 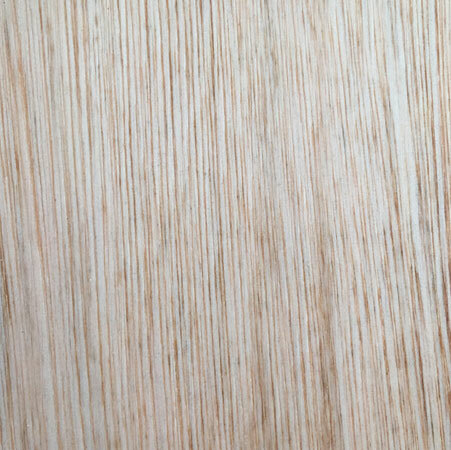 While pine can be used to construct a wooden countertop, keep in mind that this is not a hardwood and will require far more care and attention than other wood species. 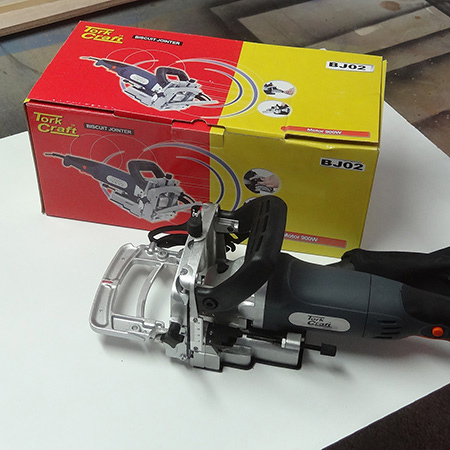 To laminate the individual planks or strips together you can use a Biscuit Joiner. 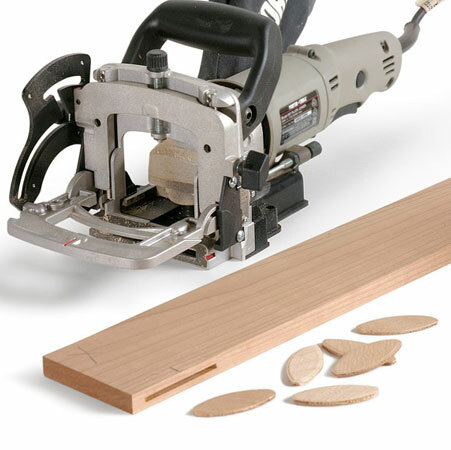 The Tork Craft Biscuit Joiner is one of the most affordable brands on the market and does exactly what you need it to do, which is to cut slots along the side edge of your planks in order to insert glue and biscuits to join the planks together to form a single, solid countertop. Where you need to join sections of wooden countertop together, at a corner for example, the best method for joining these two sections is by using pocket holes. 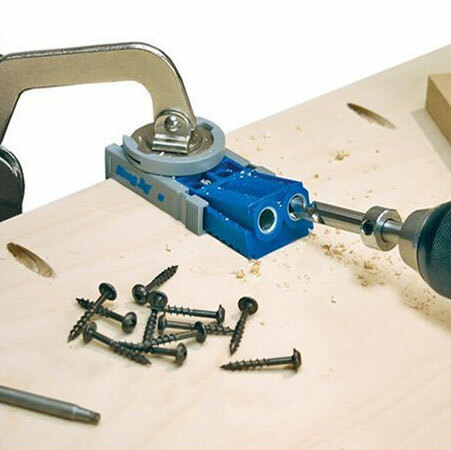 Invest in a pair of large clamps that you can use for a variety of DIY projects, and that are ideal for clamping your wooden countertops when laminating the planks together. See the video below for installation of wood countertops. I found this video to be the most comprehensive as far as using local materials is concerned. 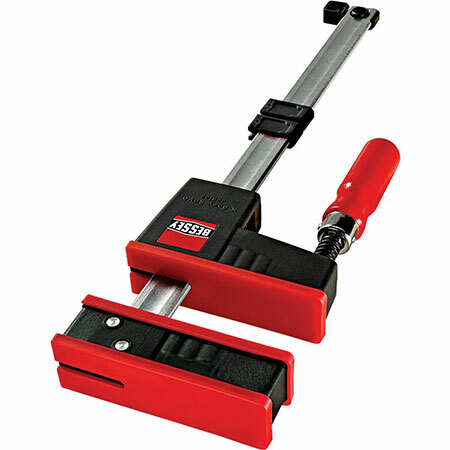 Tips for using a Biscuit Joiner to prevent telegraphing. When making wooden countertops you want to prevent any future problems. One problem that can occur over time is telegraphing. What this means is that, along the wood where the biscuit joints are placed the wood can shrink and cause a depression. To alleviate the possibility of this happening in the future, the below video explains how to properly drill out biscuit joints.